Owen Fikkert steps on the mound. 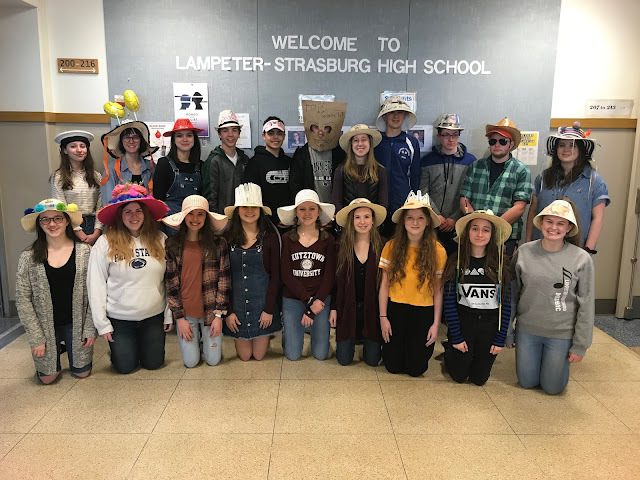 The Lampeter-Strasburg Pioneers are ready to face a tough opponent and rival, Manheim Township. The first inning starts, and it is not how L-S wanted to start. line drive after line drive are hit. When they finally get three outs, the score is 3-0, Township. L-S cannot answer so the first inning ends 3-0. The second inning is scoreless, and in the top of the third, Township adds two more runs to their score to make the game 5-0. The Pioneers needs to start doing something. Bottom of the third; L-S gets on the board with a run but it is only 5-1. Finally, in the fourth inning, the Pioneer's hitting shows up. Township goes scoreless, and L-S gets three runs to make the score 5-4 going into the fifth. Township, however, has an answer. the next two innings go by pretty slowly, as Township gets four runs and L-S musters up only two. The score is 8-6. L-S cannot seem to take a lead, but they might want to soon, as they are in the final inning. The seventh inning starts, and L-S needs to play good defense if they want to have any chance of winning. Grant Kersher is on the mound now, and we need him to pitch well. Township puts this to the test, and scores two run. The game is pretty much over, L-S has not been hitting that well, and now the need four runs in order to stay in the game. L-S gets one run and one out. It is 10-7. Township needs two outs to win the game. L-S, however, is not ready to quit. They get the bases loaded, still with one out. The ninth batter is up. He hits the ball and the ball just keeps going. The entire team is thinking home run, but the ball hits the fence. The base runners are running harder than they have ever run. The first guy scores, then the second, and the tying run comes to the plate… and he is out! Township gets their second out, and keeps the lead of 10-9 with a guy on third. Strike one! Alex Knapp is at the plate. He needs to get on base to keep L-S in the game, and he does with a walk. Now Taso Kovak is at the plate, and it is his turn to keep L-S in the game. He gets a single, and the game is tied! They next hitter is out, but the game is still going into extra innings. L-S keeps the momentum and wins the game by one run in the eighth inning. It was one amazing game!